← How do you top ice cream? 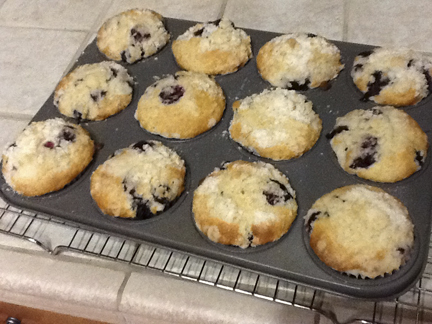 I love blueberry-lemon muffins but I haven’t made them in quite a while, so I’ll tuck this recipe away to try soon. I hope that your daughter enjoyed them. She enjoyed them very much, it’s rewarding to have my children like my baking. Let me know what you think of the recipe, and how you’d improve it. Cheers!